A real estate career at Toronto’s Page & Percival Realty Services Inc. Brokerage is the most rewarding you can find. We are a progressive boutique real estate brokerage – our clients get big shop oomph that’s fueled by a boutique firm’s energy and entrepreneurial spirit. At Page & Percival, you’ll instantly achieve a distinctive edge with our innovative branding that will help you stand out from the crowd and that has proven to resonate strongly with consumers. Alternatively, if you’ve got a marketing spirit and already have your own branding, we won’t stop you from using it. We only recruit realtors that work in different neighbourhoods throughout the city, which means you will not be competing directly with any of your colleagues in the office. Unlike the big brokerage brands, our office has a small team feel where all of our agents feel like they’re part of the same tribe. Because we don’t actively compete against one another, we’re able to collaborate, brainstorm and share ideas. We have monthly team meetings, semi-annual team retreats & holiday decorating parties to name a few. Being self-employed can be isolating, but not when you’re part of the team here at Page & Percival. The future of the real estate industry is changing and if brokerages don’t embrace that, they will be a dying breed. At Page & Percival, we are not committed to old, antiquated ways of doing business. On the contrary, we are constantly seeking out new technology to make our business more efficient and to offer new innovative services to our clients. Traditional brokerages will train you on things, you can easily learn anywhere. On the contrary, we teach our agents the secrets of the trade through one-on-one job shadowing. We’ll show you how to conduct showings, a listing presentation, multiple offer negotiations and we’ll hold you accountable to the goals you set in your business plan. To learn more about us and what we offer, see below…. All of our Sales Representatives share the same values and believe that financial success means little, unless it’s achieved with Integrity. At Page & Percival Realty we believe that success is defined by the legacy we leave with each client and that doing the right thing in every situation should always take precedent. This philosophy inspires others and makes for agents who are proud to be associated with Page & Percival Realty Services. Our Agent’s integrity is their top priority. Our Agents are dedicated to being experts in their market. Our Agents are driven to constant re-invention & innovation. Our Agents are committed to being warm, friendly & approachable. There’s no rule that you have to be an a-hole to be successful! We'll teach you everything you need to know AND we'll keep you out of trouble. Your real estate career at Page & Percival begins with our hands-on training program, which is the most robust of any brokerage in Toronto’s west-end. You will not reach your potential unless you are trained by someone personally who has reached theirs AND has taught others to do the same. Unlike other brokerages, we train our Agents one-on-one through job shadowing and a highly interactive 100 day program. We are a small brokerage and only recruit a few new agents every year to ensure we can provide the attention that each new agent deserves. We also provide monthly team meetings, accountability sessions, semi-annual team retreats up north & loads of free workshops, online courses and webinars. To learn more about our Coaching Services, please visit Women Rocking Real Estate. 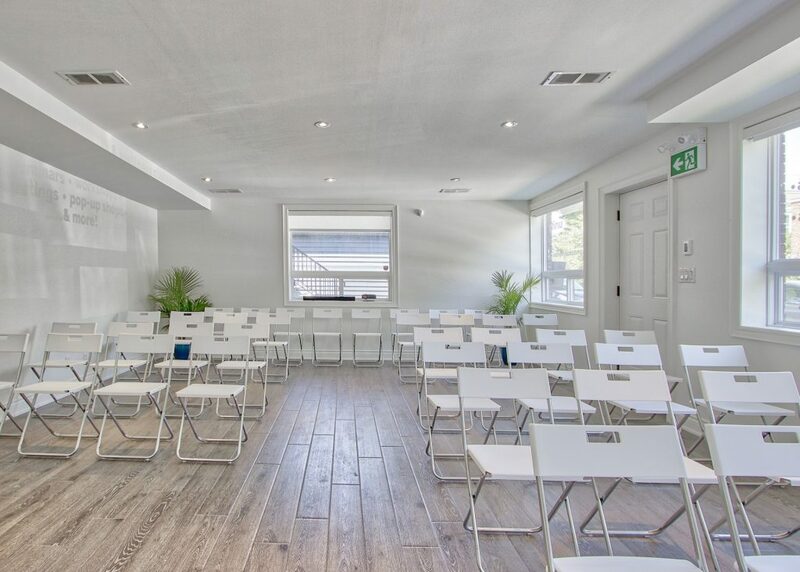 Our on-site real estate academy is conveniently located at our offices in Bloor West Village. 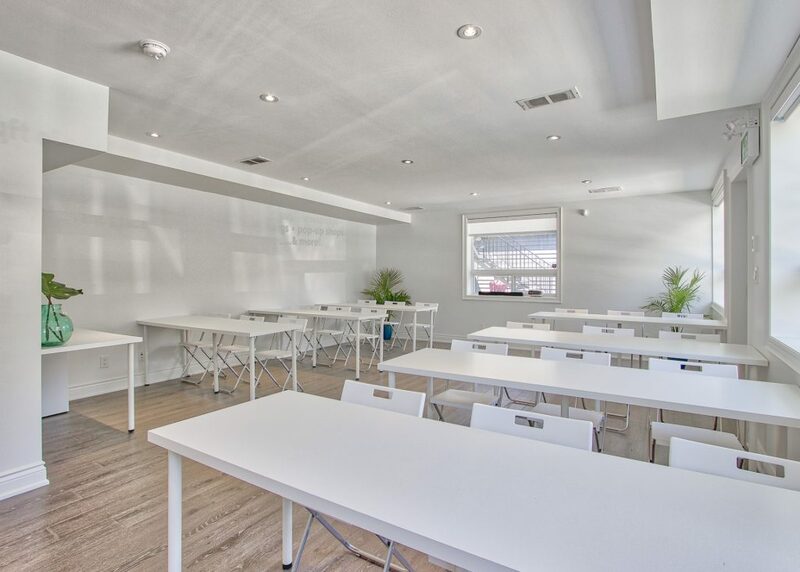 The space is also used for health & wellness classes like Yoga, Meditation Workshops, Pilates and more. 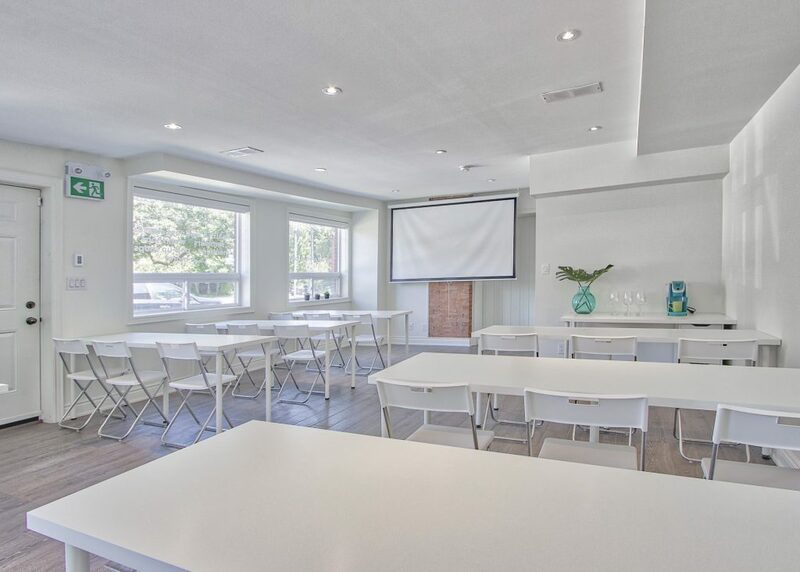 Realtors at our Brokerage are able to use the space to host events & seminars for their clients. It is fully equipped with furniture, wifi, a wireless projector, screen & blue tooth speaker. Our tools will save you time, so you can focus on growing your business. We have found a tool to manage every aspect of running a successful real estate business that will wow your clients and guarantee they refer you to friends and family. These tools automate the way we do business, ensure all important information is communicated to clients and make certain that you’re following all of the processes and keeping all of the records you need, to stay out of trouble with RECO. Never miss a task or process again when working with buyers and sellers. We built a proprietary intranet where you can collaborate with your clients on all aspects of their real estate transaction. It includes processes, assignable tasks, meetings, calendar features, chats and so much more. We have created online, customized forms for all aspects of client management to make certain that no detail is ever overlooked and ensure that you’ve got a record of important information. Impress your prospects and clients with these professional and efficient branded forms. Automated emails, communication workflows, newsletters and capturing leads at open houses. We’ll give you all the tools needed to keep in touch with current & past clients, as well as prospects and leads. We’ve also got a coveted loyalty program to make sure you never lose a past client again. Our vision is to become an eco-friendly, paperless office. Electronic signatures not only reduce our environmental footprint, they are also a much more efficient way of signing paperwork. Clients can now instantly sign documents from the comfort of their own homes or workplace. Nothing is more old-school, than how the big brokerages manage showing appointments. The time-consuming and un-secure way of relaying instructions is unnecessary, when it can be accomplished with the click of a button. Our software is life-changing for both our agents and their clients. We consider ourselves a team and provide support and coverage for each other for vacations, illness and family commitments. You can take comfort knowing your business is in good hands, without the risk of losing a client. Our marketing tools will set you apart from the crowd. Many clients have interviewed us, simply because they liked the look of our branding. Once we’re in the door, we have a 97-98% contract win rate and we owe that to our value proposition and impressive collateral. We’ll teach you how to set up and curate a gorgeous Instagram feed and Facebook page, with relevant, engaging content so you can begin attracting your ideal client. We provide our agents with a stunning custom, personally branded website & blog with great SEO capabilities, where you can advertise yourself, your services & your listings. We provide tried & true listing and buying presentations, as well as systems that will guide you through the sales process. We have a large stockpile of staging supplies which are on-site and are available for your staging needs. We have long standing relationships with a variety of industry partners, who you can refer, knowing your clients will be in good hands. We provide stunning collateral with easy to use, drag & drop templates for all your marketing needs. Need something custom? We can design anything you’d like in-house at very reasonable rates. Competitive splits and incentives tailored to your situation. We offer three highly competitive incentive program options that are easy to understand and reward agents for growing their business. 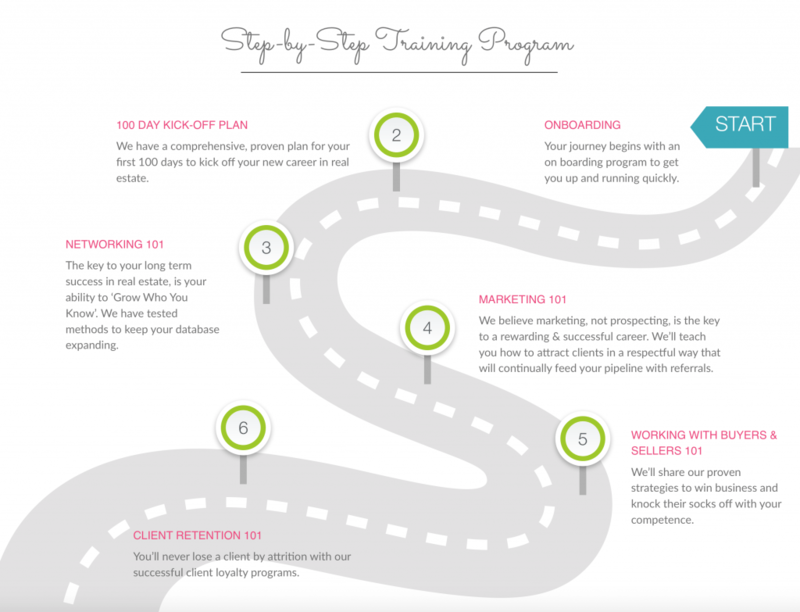 We have one program geared to new agents in their first 2 years, a sliding scale program for established agents and a 100% commission program for top producers who consistently achieve outstanding results. To learn more about our recruiting process, who we’re currently hiring and qualifications for our Top Producer Program, please contact us here.